Social media is the new wave of marketing. Of course, it isn’t all that new, but it certainly isn’t as tried and true as print, radio, and television. The thing is, though it may be relatively new, it is not going anywhere. It is here to stay, and it is changing every day. These two facts combined make marketing with social media a strange and ever evolving beast that must continually be learned about for it to be successful. Here is what you need to know now. It is a novel idea to some, but social media is actually social, and you can’t fake it. It can’t simply be a strategy. People can spot fake interest easily. Comments, likes, shares, retweets, repins, etc. all need to not only be the norm, but they need to at least appear to be sincere and coming from a place of interest. They also need to make sense. Random liking and sharing doesn’t work. Interact with others within your industry or that could somehow be related. An example someone who makes children’s clothing liking, sharing, or commenting on posts by pediatric clinics or YMCAs that have activities for children. To really utilize marketing with social media, it has to be considered a skill, not just a job. You can hire a typist, but you still want to know if your employees have the skill of typing. The same goes for social media. If you hire employees that uses and understands social media, you can have a companywide social media strategy that really rocks. If employees are skilled at marketing with social media, they can carry your social media marketing further than ever imagined. There are potential dangers and drawbacks, but with the proper training and oversight it is to the company’s advantage to get everyone social. While it is not just a job, social media is still a job. Someone has to be in charge of monitoring for inappropriateness, tracking profitability, being intentional, and keeping the ball rolling. There are lots of bad things that can happen, such as things being shared from an employee’s Facebook that you do not want associated with your company, but it is because that employee is doing exactly what we said they should do above. Guidelines and oversight have to be in place, and someone has to be in charge. 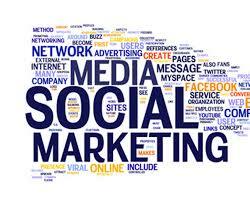 With the right moves, social media can be one of the best things that ever happened for the growth of your business.